6 CAR GARAGE! 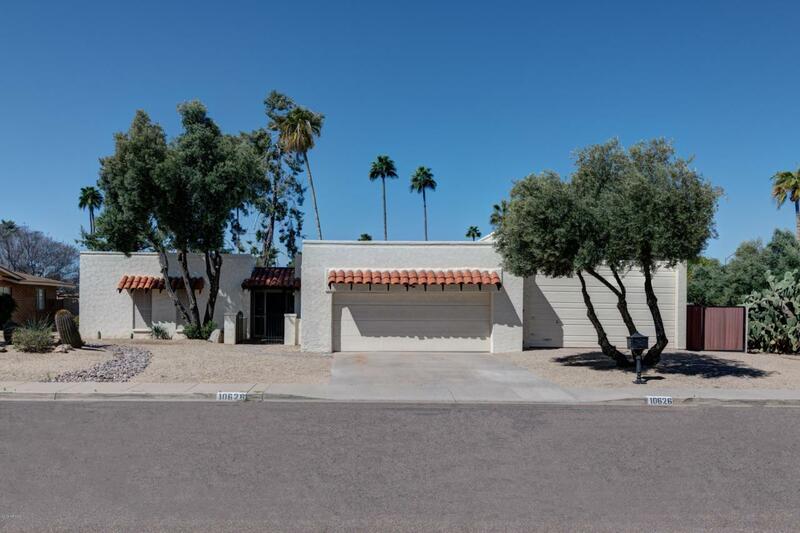 Rare opportunity in the desirable community of Desert Gardens. This formal model home features a 30,000 gallon diving pool, added bonus room and a 40'X20' RV garage that will accommodate all of your cars, toys, and RV's, PLUS an additional 2 car garage! Large lot backing onto a private park only steps away from your backyard. Lush landscaping, palm trees and mountains can be seen from your entertaining backyard. Spacious master suite with newly renovated master bathroom. Minutes from golf, hiking/biking trails.